The bracket will be decided by pretty unusual means. Unusual situations sometimes require unusual solutions. After two teams tied for both third and sixth place in the Overwatch League stage one playoff standings, a tiebreaker was needed to decide the playoff bracket seeding. One set of teams has stuck straight with the rule book to decide their fate. The other set has opted for a quicker, but more obscure way of handling things: a coin flip. San Francisco Shock and Seoul Dynasty will play an off-stream match tomorrow at 4pm CT to decide which team will take the sixth and seventh seeds, OWL revealed via Twitter. This will be a standard first-to-three match in accordance with Overwatch League rules. 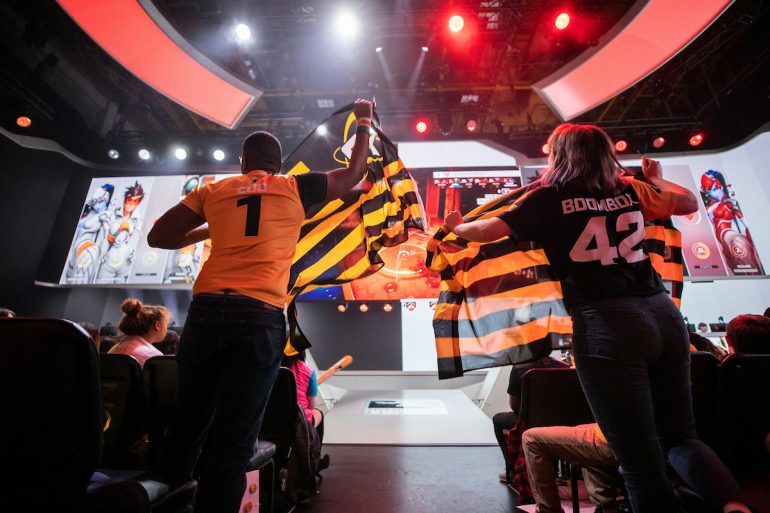 Philadelphia Fusion and Toronto Defiant will be taking the more unorthodox approach to find out who gets the third and fourth seeds. Many fans are expressing concern about the different solutions. Only a summary of the Overwatch League official rules is publicly available and coin tosses are nowhere to be found. The important thing is that the coin flip, however unorthodox, was mutually agreed upon by both teams. There is reasoning for this if we look at what is potentially lost by either of these two sets of teams. Shock and Dynasty likely opted to take the standard match because more is at stake for them in the playoff bracket. The loser of their match will be the seventh seed and will have to face the second seed, the New York Excelsior, in the quarterfinals. NYXL have not lost a game this stage and will likely be a more difficult opponent than the winner of Philadelphia vs. Dallas, who the winner of Seoul vs. San Francisco will play. Related: Which teams made it to the Overwatch League stage one playoffs? The difference between the sixth and seventh seeds is massive, and it’s understandable why neither San Francisco nor Seoul would want to put the match on a coin toss. Facing NYXL may be an insurmountable challenge for them, while the loser of the Fusion vs. Defiant coin flip will take on Atlanta Reign in the first round of the playoffs. While Atlanta are statistically a more difficult team to face than San Francisco or Seoul, it’s not enough of a difference that it would be catastrophic for either team to face them. Philadelphia and Toronto are also likely considering their time commitment. They would rather not play an entire match to find out who they’re up against, and instead, they can find out their opponent quickly and start developing strategies. No matter the reasoning behind the choices, a bracket will be decided after the off-stream match is over and the coin has been flipped, which will likely be around 5:30pm CT. The only match currently set in stone is the first match of the quarterfinals, which will be the first-seeded Vancouver Titans against the eighth seed, the Boston Uprising. Quarterfinals begin March 21 at 8PM CT.